With tender spirits and heavy hearts, we at Critical Resistance bid farewell to one of our co-founders and long time leaders, Rose Braz, who braved a long fight with cancer and passed away peacefully on Tuesday. Rose’s contributions to Critical Resistance (CR) and the movement to abolish the prison industrial complex are immeasurable; neither CR nor the international modern-day abolitionist movement would exist as powerfully as they do today without Rose’s tireless work. When Angela Davis put out the call to “do Critical Resistance!” at the end of the first CR conference in Berkeley, CA, 1998, the phone kept ringing for “more Critical Resistance” and it was Rose who answered. 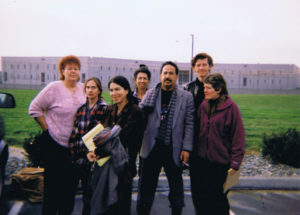 Part of the original conference planning committee, she became the organization’s first staffer, making real the struggle to move beyond the prison industrial complex (PIC). Inspiring, seemingly unstoppable, and a fierce movement builder, Rose laid an indelible foundation for CR and the broader movement against the PIC. 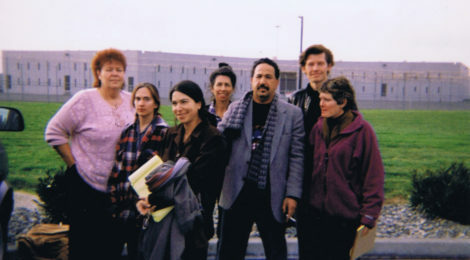 With sharp media and strong campaign organizing skills, Rose was a driving force behind the Delano II campaign, which halted the gargantuan 20-year prison building boom in California and integrated environmental justice and anti-prison approaches for the first time. Her key leadership grew CR into a national organization and force for abolition. Through these fights,Rose played an instrumental role in co-founding the now 70+ member-strong Californians United for a Responsible Budget, and the Coalition for Effective Public Safety, two coalitions that have resulted in thousands fewer people being imprisoned. She advanced abolition when it was almost-taboo and emboldened our movement, joining Justice Now at the forefront of the fight against women’s imprisonment in 2006 and supporting the CR-NYC and the Community In Unity coalition defeat jail expansion plans in the Bronx in the same period. CR was honored and privileged to have her on staff for 13 years and through four national conferences. In just the few days since her passing, countless memories have been shared, with the most common reflection being that “Rose was one of the most important mentors in my life.” Her legacy will undoubtedly live through present and future efforts, seeding the way to a more beautiful, enlivened abolitionist struggle and liberated world. With Rose’s leadership, and participation in the organization from its inception in 1997 until 2012, CR boldly put forth a vision of the world we know is possible, one without policing or imprisonment, but rather one based on collective care, support, and dignity. For all of us who share that vision, we are indebted to Rose’s life and efforts for spreading it far and wide. Please join us in celebrating her life.